I've never been a fan of child actors/actresses, and even less of a fan of today's mini-sized reality TV "stars" such as Honey Boo Boo. 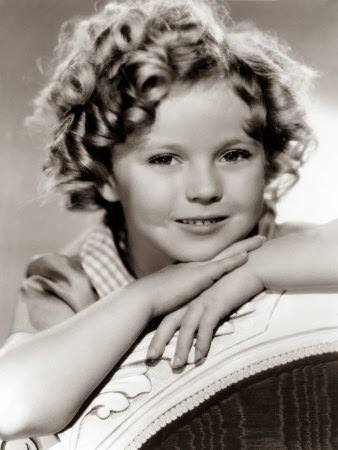 But a few weeks ago I caught the 1934 Shirley Temple movie Bright Eyes on TCM one evening and couldn't help but watch as the adorable Temple sashayed her way through one of her trademark songs, "On the Good Ship Lollipop", and fool an older spoiled brat she was living with. It was easy to see why Temple became a big screen favorite during one of the worst economic times in America's history, The Great Depression. A talented dancer by the time she was three, she could memorize and mimic choreography in a matter of seconds, and her dimpled smile and bouncy ringlet curls quickly won over movie audiences. In keeping with the times, she was often cast as an orphan to show audiences that even children could overcome adversity. 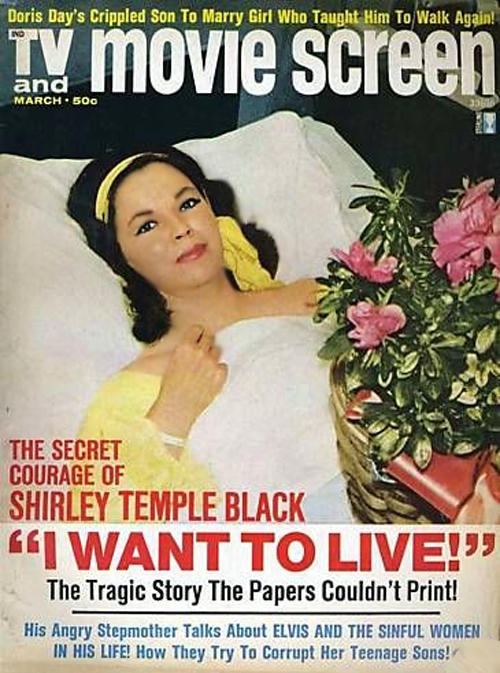 By the time she was in her teens, however, film producer David O. Selznick warned Temple that she would be typecast, and her movie resume began to wind down. What is perhaps more remarkable, however, is what she did with her life long after her film career ended: there was to be no addiction, no downfall, no troubling adult life that so many child stars who came after her fell into. Instead, Temple enjoyed a happy, lifelong marriage to her second husband, Charles Black, became an U.S. ambassador to Ghana and Czechoslovakia, and a breast cancer survivor. With breast cancer, she became one of the first female celebrities to speak openly of the disease, which resulted in over 50,000 fan letters and cards thanking her for making it acceptable and less fearsome for women to seek medical treatment.